Bottleneck Gallery will release Drew Struzan’s Blade Runner print this week. Drew’s legendary movie poster work awed us as movie-loving kids, and working to bring his inimitable, classic movie poster paintings to the limited edition screen print world has been immensely gratifying. Bottleneck worked closely with Drew to recreate his gorgeous Blade Runner art as 15-color screen prints. Drew’s print, alongside a limited art print variant, will be available as a timed-edition release from Thursday (1/17) at 12PM ET through Sunday (1/20) @ 11:59PM ET HERE. Harrison Ford is officially set to reprise his celebrated role of Rick Deckard in the sequel to Alcon Entertainment’s Blade Runner and Academy Award nominee Denis Villeneuve to (Prisoners, Incendies) is in negotiations to direct, it was announced by Alcon co-founders and co-CEO’s Andrew Kosove and Broderick Johnson! The film is scheduled to start principle photography in summer of 2016. Hampton Fancher (co-writer of the original) and Michael Green have written the original screenplay, based on an idea by Fancher and Ridely Scott. The story takes place several decades after the conclusion of the 1982 original. Ford will next be seen in The Age of Adaline for Lionsgate before he reprises another iconic sci-fi role, returning as Han Solo in J.J. Abrams’ much anticipated Star Wars: The Force Awakens. Villeneuve’s next, meanwhile, is the crime thriller Sicario, starring Emily Blunt, Josh Brolin, and Benecio Del Toro, for Black Label Media and Lionsgate. 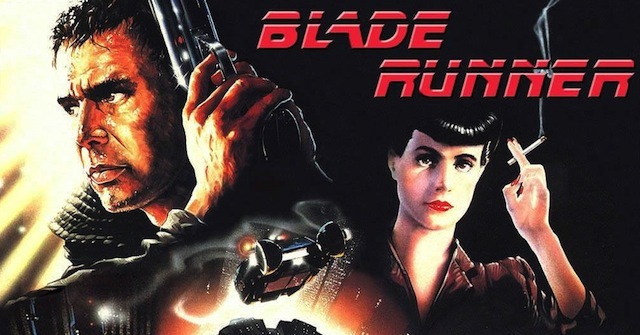 Alcon Entertainment acquired the film, television and ancillary franchise rights to Blade Runner in 2011 from producer Bud Yorkin to produce prequels and sequels to the iconic science-fiction thriller. Yorkin will serve as a producer on the sequel along with Kosove and Johnson. Cynthia Sikes Yorkin will co-produce. Frank Giustra and Tim Gamble, CEO’s of Thunderbird Films, will serve as executive producers.